Combining superior water and shock resistance with a slick black design, this is a watch that will truly have heads turning wherever you go. 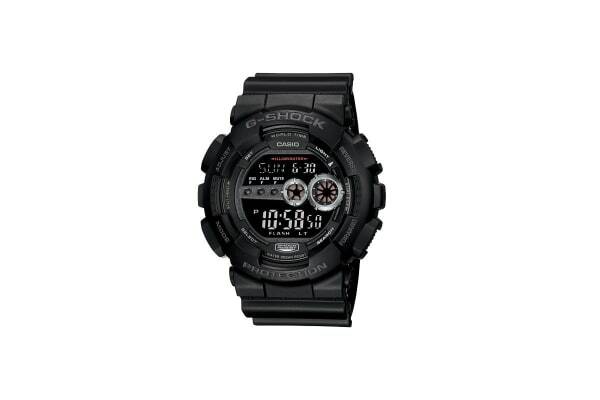 The champion of all watches, the Casio G-Shock Digital Watch is as tough as they come. With 200 metre water resistance and superior shock resistance, there is no obstacle too challenging for the Casio G-Shock Digital Watch to conquer.